Welcome to Air Tech! We are a local, family-owned plumbing company in Toms River NJ who has provided residents and businesses with top quality services, exceptional customer service and fair prices. Our licensed, professional plumbing technicians are here to take care of all your plumbing needs. No job is too big or too small. We are proud of the fact that we deliver quality plumbing services at a fair, affordable rate. Whether the job is one faucet leak in a customer’s home or an entire office building plumbing concerns, our team is equally dedicated to serving each of our customers like family. Since 1999, we have served the community of Toms River, New Jersey with an old-fashioned customer service approach. Blending this with state-of-the-art equipment, quality through craftsmanship and innovation, our experts are prepared to diagnose and resolve all problems, maintenance and installation with the utmost excellence. Dealing with leaks or clogs? We can make the necessary repairs to get you back up and running. Designing a new bathroom? We can help with the install. Hot water heater outdated? We’ll help you save on energy costs and talk through all your upgrade options to meet your needs. As a truly versatile plumbing company, we handle all plumbing related needs for commercial buildings, such as offices, restaurants, malls, schools, and more. At Air Tech, we respect your time and your business. Working with us means you are served by a locally-owned company and by experienced, professional plumbers who are passionate about helping our clients. We never fail at exceeding our customers expectations. Feel free to ask for a reference! Our team of professional plumbers go above and beyond to live up to the excellent standards we’ve abided by for since 1999. Our punctual and protective plumbers are on-call 24 hours a day, 7 days a week to respond to any emergency plumbing service requests for both residential and commercial locations. We are committed to providing only superior workmanship for all clients in our care; our unbeatable service is nearly impossible to find anywhere else in the Toms River area. Call us at 609-222-4519 to find out more. We’re a top-rated plumbing company in Toms River. We provide a comprehensive range of services to handle any size project. Drain and Sewer- When you need repairs or replacing any lines that are beyond repair, turn to Air Tech. Winterizing- Leaving town for a while. Trust in Air Tech to take care of all your winterization needs. 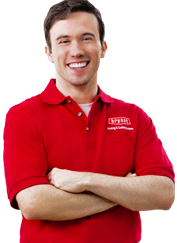 Hot Water Heaters- We service all types of hot water heaters. If you’re in need of repairs, maintenance or installation, give us a call…we can help! Emergency Plumbing- Emergencies come at the worst time. We know this and that’s why we offer convenient emergency services to help when the unexpected happens. Commercial Plumbing- Own a local business? We repair, maintain and install commercial plumbing fixtures and pipes quickly and conveniently. Concierge Services– Leave your home in good hands with Air Tech. With our House Watch Services, we can make additional visits to your property to conduct a visual inspection of the interior and exterior of your home and property and so much more. For the most convenient and cost-savings option, we offer maintenance plans for plumbing service that cover all our residential and commercial customers’ needs. Whether you need coverage for gas or electric hot water heater equipment service and/or whole house coverage (which includes one kitchen, three bathrooms and one hot water heater), we have a plan for you. Call Air Technical Services plumbing company to set up your appointment today. You have questions? We have honest answers. As a homeowner or business owner, we realize you probably have some questions about plumbing services. Read through these common Frequently Asked Questions and answers below and then give us a call at 609-246-5905 with any additional questions. We’re happy to help. What is the best way to contact Air Tech? For an immediate response, please call us at 609-246-5905. If you would rather, contact us online. We are available 24 hours a day, 7 days a week to serve you. No matter the plumbing problem you’re facing, we can help! What brands and models do you service? We service all brands and models. We have a direct relationship with certain heating, air conditioning, HVAC and plumbing manufacturers because we believe in their reliability for our customers. These include: Bryant, Bradford White, Navien, Weil McLain and Lennox. What is the Air Technical 100% satisfaction guarantee? At Air Tech, we’re proud to offer top quality work done right the first time. We pledge that each and every job will be completed to our high standards and the satisfaction of our customers. We’re committed to quality workmanship under all circumstances, regardless of the challenge. Do I need maintenance for my hot water heater? Air Tech offers maintenance plans for gas and electric water heaters. Gas coverage includes flushing sediment deposits, clean burners, and pilots, checking flue drafts and in addition to inspecting the overall condition of the tank. Electric includes checking thermostats, heat elements, flushing sediment deposits and inspecting all electrical connections for corrosion.